Integrated probe, hold function, automatic shut-off. IP54 ABS housing. 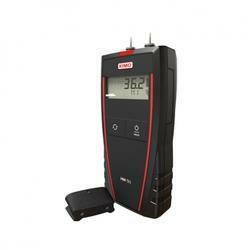 Banking on the skills of our qualified team of professionals, we are instrumental in offering a supreme quality range of Near Infrared Moisture Meter. - Direct reading display for all commodities. - It is used for food grain, pulses and oil seeds and vegetable seeds etc. In order to find an appropriate balance for you, please refer our general balance catalog from the right column. 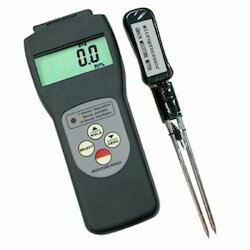 - Infra red moisture balance with solid state, electronic regulator capacity : 5 gms, 10gms & 25 gms (any variant).